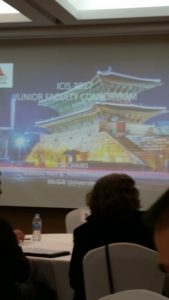 Participants of the JFC pose for a group picture during ICIS 2017 in Seoul Korea. 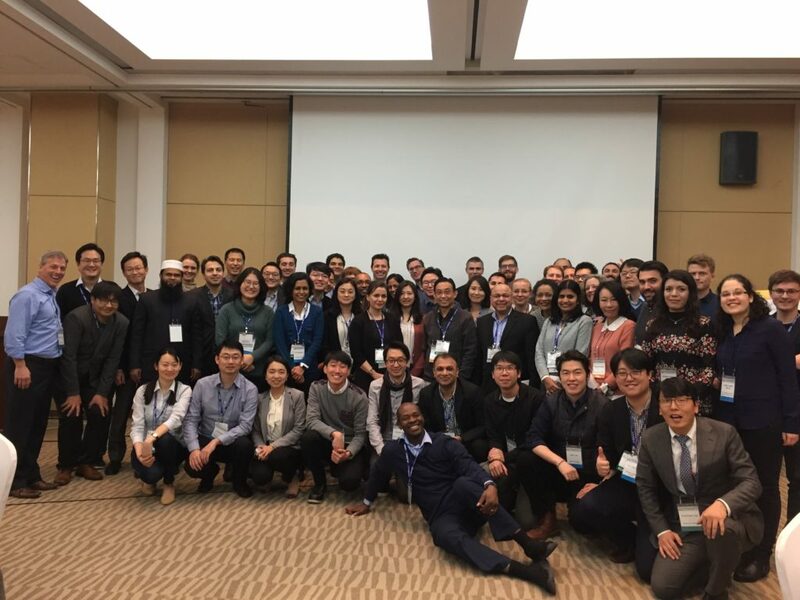 In December 2017 during the International Conference on Information Systems (ICIS) in Seoul, Korea, I had the distinct honor and pleasure of spending an entire day with senior scholars, peers, and junior scholars in our discipline. The Junior Faculty Consortium (JFC) is a day-long event during which faculty who are at the pre-tenure stage of their careers receive advice about managing various aspects of life as an academic. We covered a wide range of topics, including achieving balance across various academic responsibilities (teaching, research, service, personal life), having impact on a broader audience with your research, establishing and maintaining a network of collaborators in the research ecosystem, and managing the process of moving from one institution to another. I served on a panel on tenure and career management, with wonderful fellow panelists Jui Ramaprasad, Deborah Compeau, and Michael Barrett. I had been invited to talk about establishing and maintaining a network of collaborators in the research ecosystem. It was a good opportunity to share my own philosophy about research collaborations. My observations have been shaped by my own previous collaboration experiences, wise counsel from trusted advisors, and my reflections about what I value in the research process. I talked about the considerations the junior faculty should have when considering different types of potential collaborators in the research ecosystem (i.e., senior scholars, peers, doctoral students, masters students, and industry partners). I also discussed the strengths that each of these types of collaborators can bring to a research engagement. I must say, I rather enjoyed hearing from the other panelists on their topics as well. It sparked some self-reflection on my part about career management. Following our panel, as faculty mentors we had an opportunity to engage in round table discussions with 6-7 junior faculty. The faculty had the opportunity to ask questions relating to what they heard during the panel as well as other pressing concerns and interests. I found these closer-knit discussions to be quite illuminating. I came away encouraged that we have some very thoughtful and highly ambitious junior colleagues in the profession. The future of the discipline certainly looks quite bright. I am grateful to Alain Pinsonneault and Kunsoo Han for the invitation to participate in this wonderful event. 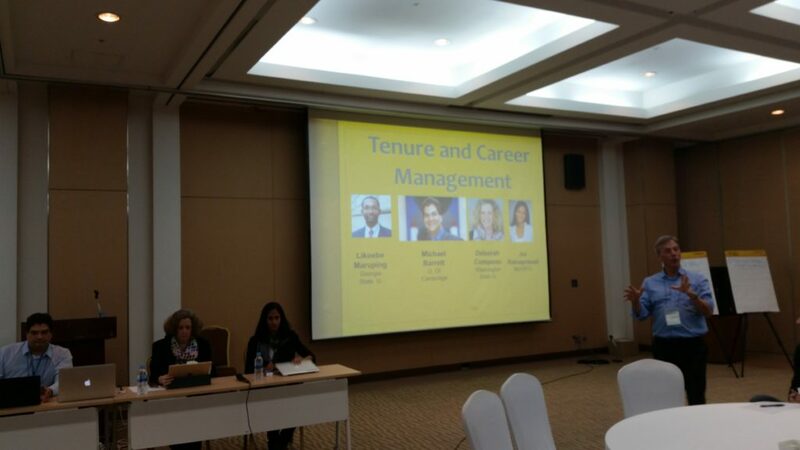 Panelists for Tenure and Career Management are introduced.